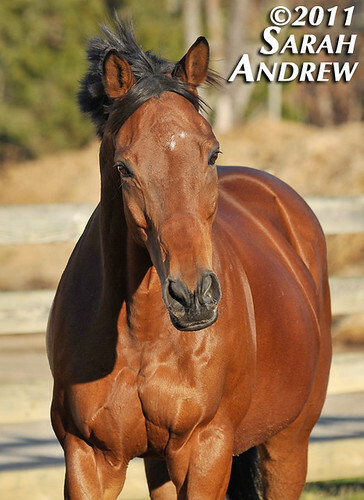 If you own a horse who has gastric ulcers and if you frequent the Chronicle of the Horse forums, you are probably familiar with the Abler enteric coated omeprazole granules, affectionately renamed “blue pop rocks” by a forum contributor. 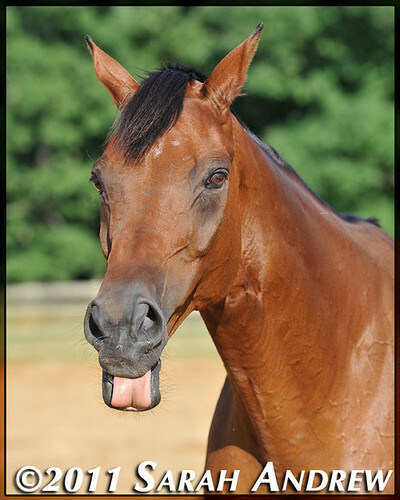 Many horses eat the harmless, flavorless granules with no problem if they are sprinkled on a serving of grain. But sometimes, there are horses like Wizard, who object to the texture and decide that the pop rocks are poisonous. 1) Buy a bucket of Stud Muffins, or similarly delicious, large, and SOFT horse treat. 2) You will need one muffin per sachet of granules. 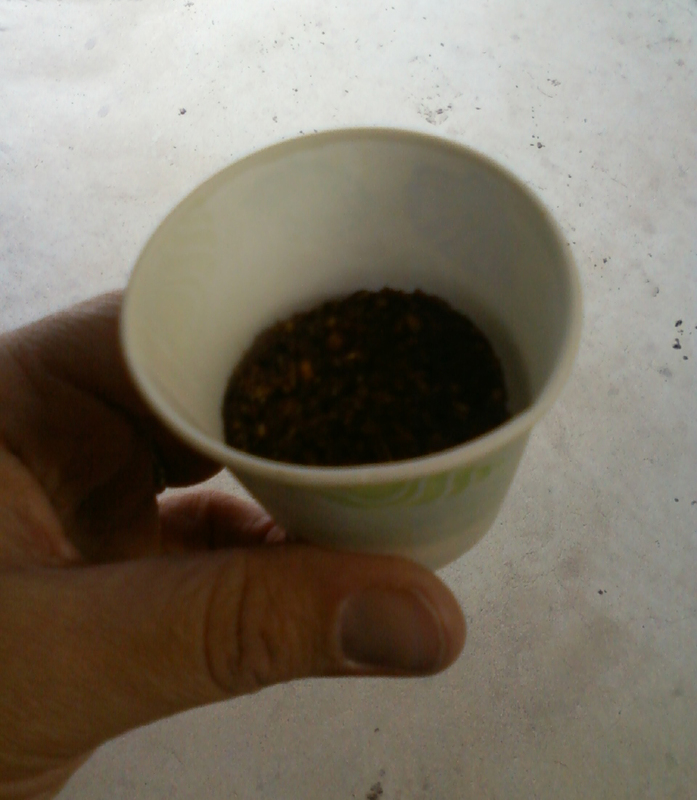 Put the first muffin in a small Dixie cup- the little bathroom ones work great. 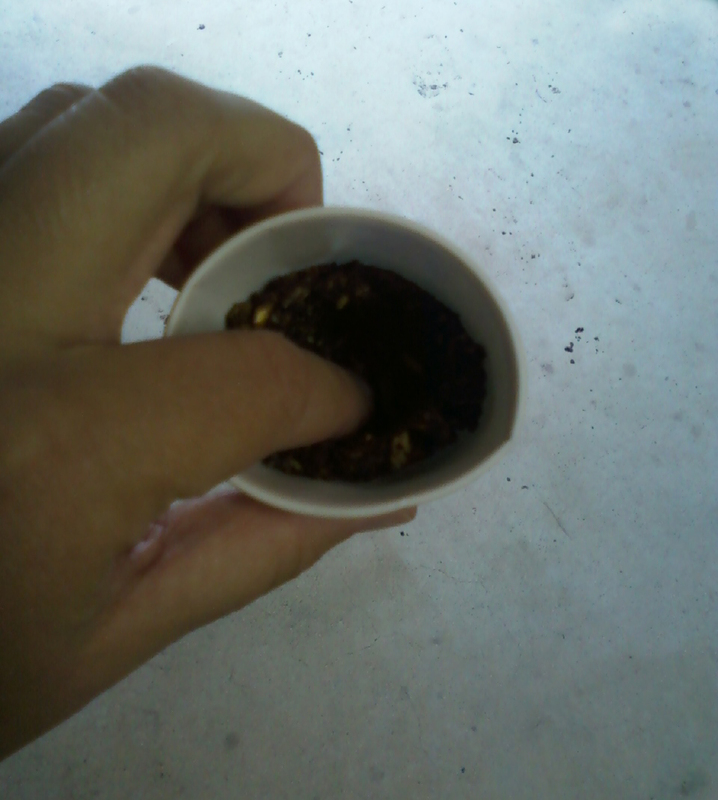 3) For added softness, microwave the treat for a few seconds or add a few drops of water. 4) Make a hollow pocket in the muffin with your fingers, pressing the edges of the treat onto the walls of the cup. The deeper a pocket you can make, the better. 5) Pour one sachet of omeprazole granules into the hollowed-out treat. 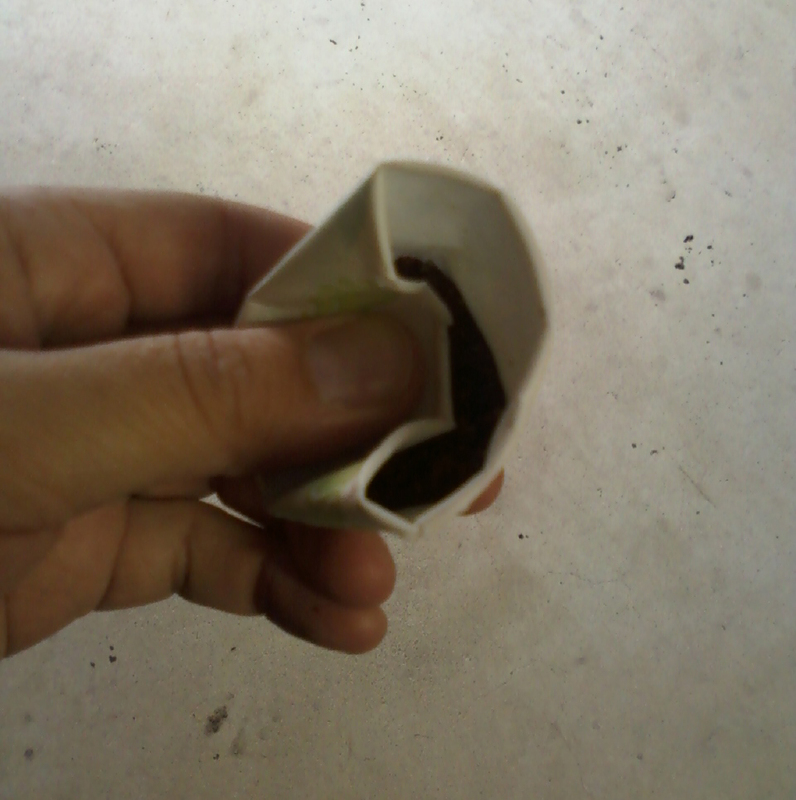 6) Using the walls of the cup, mold the treat back into its original shape. This will conceal the omeprazole granules and make the treat look normal. 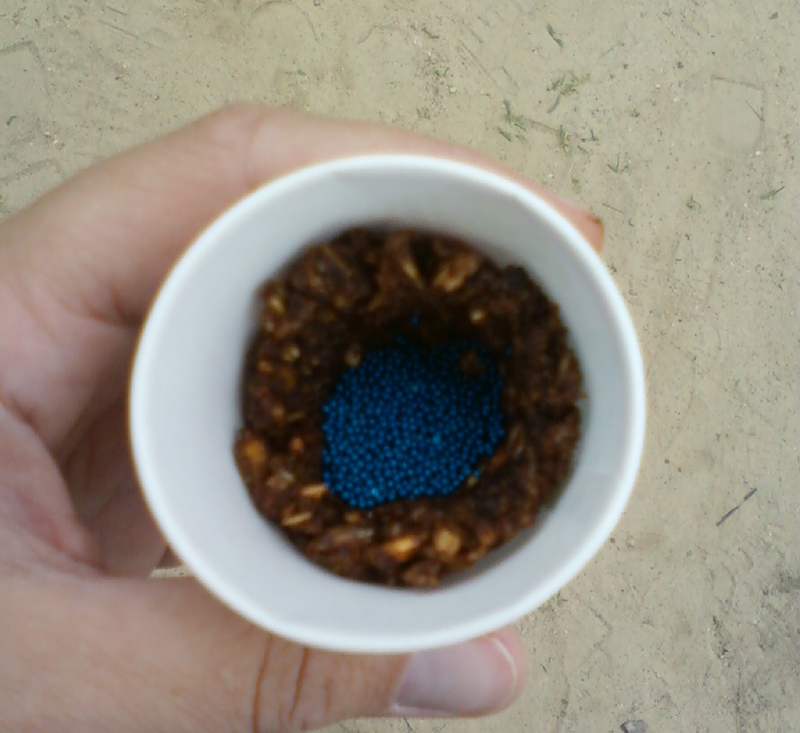 7) Remove the treat from the cup and feed to your horse. Yum! I wonder if this would work with bute powder. Derby loathes bute. The paste makes him drool and act morose (“Why are you trying to poison me?! ?”) and putting the powder in his feed just causes him to turn up his nose. If I mix the bute with a big glop of molasses and sweet feed he’ll eat it, but that is messy. I like this dixie-cup method. Thanks! It might depend how much bute and how delicious the cookie is. I’d imagine the bute is pretty bitter. Molasses is great, but messy, like you said. Sarah, I have seen you name on the photos of the horses trying to find homes at the auction house. You provides such a priceless service to those horses. You capture their beauty and dignity. Thank you for your commitment! You have a wonderful eye.